Two Artist Appearances Announced for Halloween! 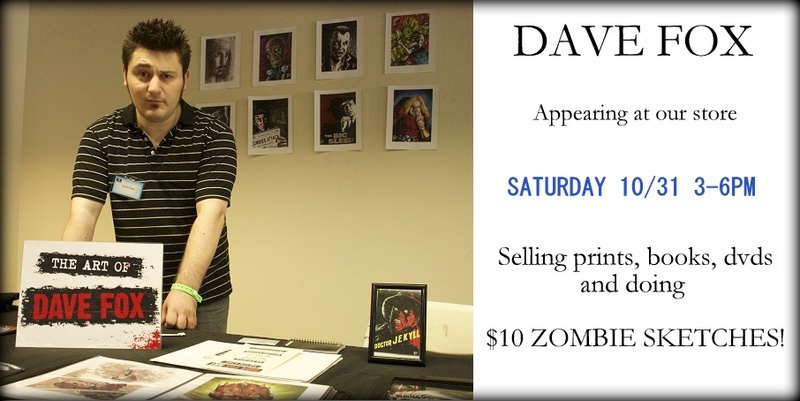 Two new artist appearances are scheduled for this Saturday (Halloween), 10/31. 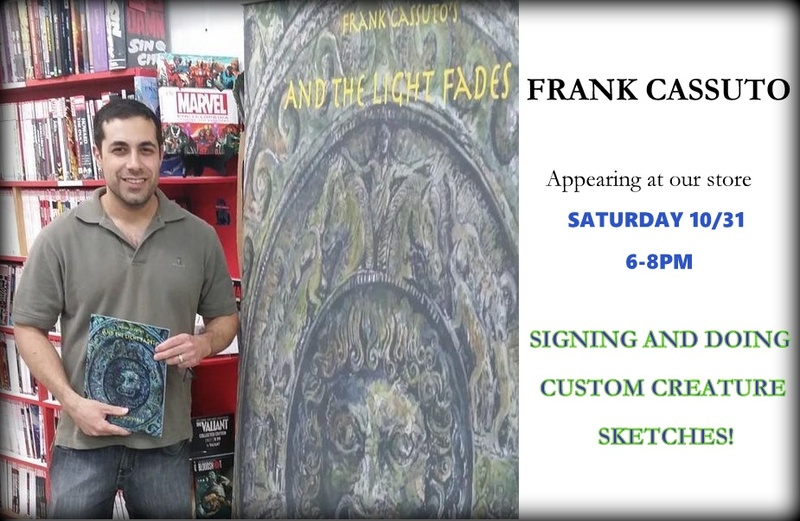 Dave Fox will be appearing from 3-6pm and Frank Cassuto will be here from 6-8pm. Both will be signing and doing custom sketches! This entry was posted in General Info on October 26, 2015 by admin. 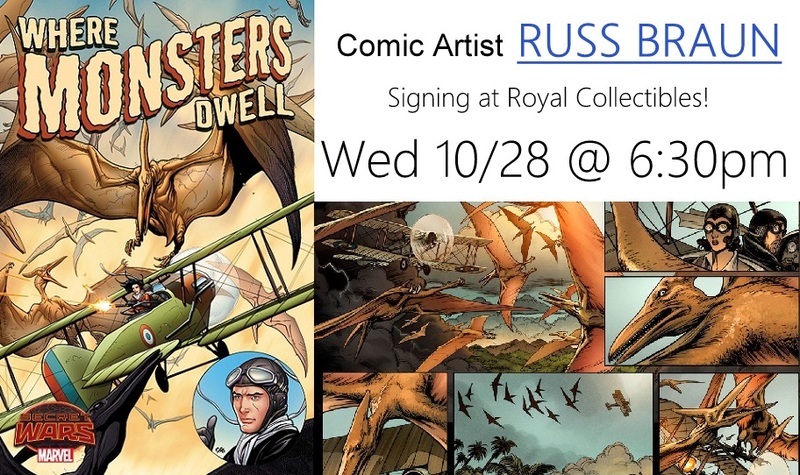 Swing by the shop next Wednesday (10/28) to meet comic artist Russ Braun! The 5th issue of Where Monsters Dwell hits the shelves that day, the series he’s currently working on from Marvel Comics. Buy a copy and get it signed in person – he’ll be here from 6:30 to 8:00pm! This entry was posted in General Info on October 22, 2015 by admin.